To celebrate Asian Pacific American Heritage Month, art galleries, nonprofits and organizations around the city are hosting an assortment of events this weekend. On Saturday, the 5th Annual Dancing on Waverly festival features opera singer Ou Fai, who hails from Guangzhou, China. 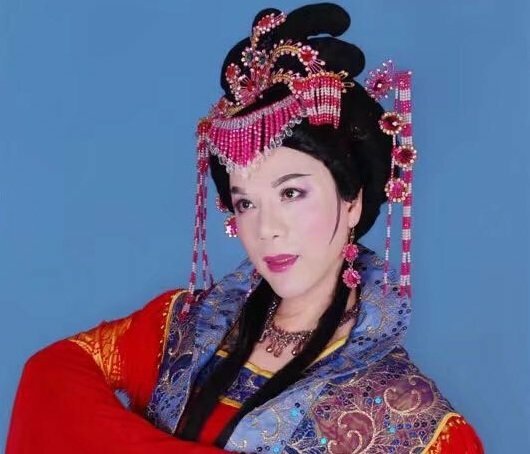 Fai performs as a gender-fluid character who specializes in Cantonese songs, ribbon dance and more. His performances are described as interactive and engaging, playful and humorous, according to the Chinese Culture Center (CCC), which is hosting the performance. Joining Fai for a one-time-only duet performance is television and radio personality Ka Sing Li, also from Guangzhou. Also highlighted this year is Oakland-based rapper, Lex the Lexicon Artist, AKA Alex Sun Liu. Raised in Taipei, Taiwan, Liu bills herself as a progressive rapper who plays on the "dominant narratives about rap, including hip-hop swagger, nerdy charisma and internet rapper antics." Her work "combines frank storytelling, sharp commentary, and a comically huge ego to deliver the unique perspective of a weird, Asian nerd in America," she writes on her website. Other performers include the Chinese Folk Dance Association, Lion Dance ME, Fat Chance Belly Dance, Swing Cats, Ushanjali School of Dance, Jackie Chan Center Community Dance Group, Portsmouth Square Dance Club and more. 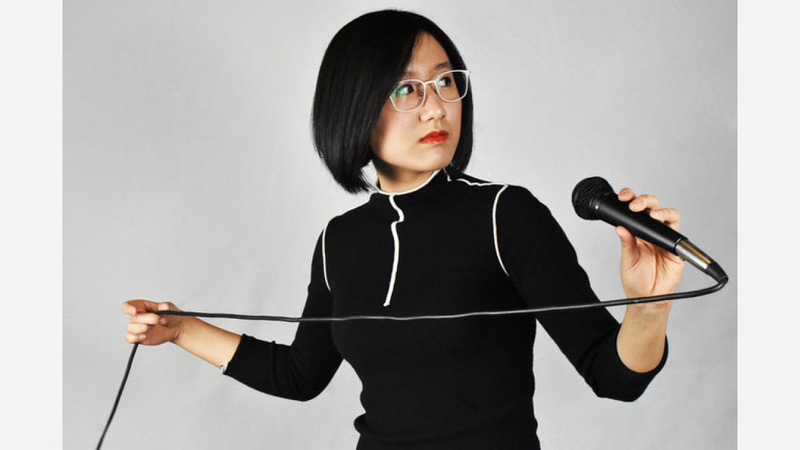 The festival will be emceed by television and radio host Maggie Wong. This exhibit, which runs until June 17, connects three emerging women artists who explore ways that cultural signifiers shape relationships to power, access and gender equity in immigrant communities. XianRui 10 (fresh and sharp) is an exhibition that supports six mid-career artists of Chinese descent. The featured artists--known for pushing the boundaries of their respective genres--came together for a group show featuring experimental ink painter Zheng Chongbin, mixed media and installation artists Summer Lee, Beili Liu, Adrian Wong and Stella Zhang, and fiber artist Dora Hsiung. "Since their solo shows at CCC, many of the XianRui artists have earned a great deal of critical acclaim and have become established in the art world with their work now in international exhibitions, art fairs, and public and private collections," said executive director Mabel Teng. Hosted by the San Francisco Library and SFMOMA, the event billed as a zine project promotes "education on the diverse histories of Asian American Pacific Islander food," according to the organizers. Attendees will be able to take a gallery walk of original work from more than twenty artists, hear a panel of local contributing artists and dine on cuisine from local AAPI eateries. The event is free to attend. On Saturday evening, Asian Improv Arts presents the World Premiere of Jon Jang's Pledge of Black/Asian Allegiance at the 120-year-old Buddhist Church of San Francisco. The event coincides with the shared birthdays of social activists and community leaders Yuri Kochiyama and Malcom X to "affirm the solidarity that the two held between Asian and African American communities," according to organizers. The performance features Jang's ensemble, the Jangtet, with African-American theater artist Dr. Amanda Kemp. Jangtet features bassist Gary Brown, drummer Deszon Claiborne, saxophonist Hitomi Oba and trombonist Nick DePinna. If you didn't get a chance to see Lex the Lexicon Artist earlier in the day, the progressive rapper along with the Asian Pacific Islander Cultural Center (APICC) is hosting an Asian American hip-hop concert at Bottom of the Hill. Funded by the San Francisco Arts Commission (SFAC) and Grants for the Arts, the concert highlights Bay Area-based Asian rappers Ruby Ibarra, LEX The Lexicon Artist, Chow Mane, and Rudy Kalma, "each making waves in local and national scenes with their unique takes on the genre," according to the organizers. Lastly on Sunday, SPARK Social SF is hosting a day of "matcha heaven," with an array of "matcha-infused confections created by Bay Area vendors," according to organizers. Expect to see sweet treats like matcha cookies, ice cream, doughnuts and more from vendors like Frozen Kuhsterd, Boba Guys and Sugar and Spun. Savory foods will be on offer from vendors such as Panchiatas Pupusas, Poke Delish, Firetrail Pizza and more. Hang out and eat on the park's "giant green astroturf" and enjoy family-friendly oversized lawn games.